Discussions about cars that never came to North America are very common on Jalopnik and Oppositelock. In this new Oppo series (if it manages to take off) we'll discuss whether automakers made the right choice by not bringing certain models to the US. While this post is titled 'Could it have succeeded in America' I'd like you to look at it in the broader sense. Success doesn't necessarily have to mean that the car would have earned piles of money. A car that was a moderate seller at best, but helped its company expand into a new market segment in which it later managed to blossom could also be seen as productive and beneficial. Same goes for a model that despite not selling well made it possible for a company to not completely disappear from the US market and preserve its dealer and service network, so that upon reintroduction it doesn't have to rebuild completely from scratch. That's why I'd like you to discuss the cars in question more in the sense of whether it would have been beneficial to the company overall to bring that certain models to America. 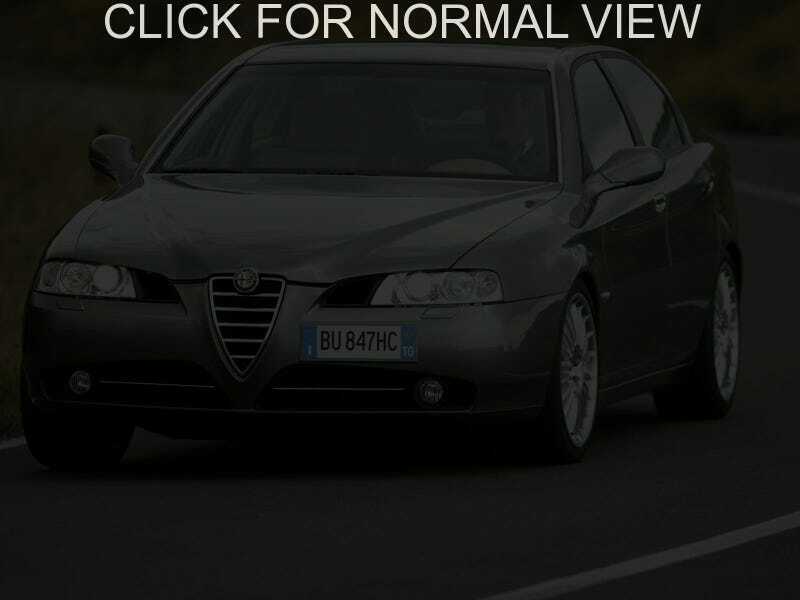 The Alfa Romeo 166 was a 1998 successor to Alfa's outgoing exacutive segment offering, the 164. It competed in a class dominated by the BMW 5 series, the Mercedes-Benz E-Class, and the Audi A6, by trying to beat the Germans with its unique and luxurious style. The interior, which many consider to be the nicest in its class, wa savailable in a multitude of colours and made of relatively good materials. All cars came with automatic climate control and a colour display in the dashboard, which depending on the specified options could also be connected to a CD changer, a phone, and a GPS module. While the interior could not rival the Germans in terms of quality and featured a few peculiar design choices (no cupholders, boot release button hidden in the glovebox) it came loaded with kit even in the cheapest versions and dripped with style. It even offered options rarely covered by its competition like wooden steering wheels and shifter knobs. Engine options ranged from a 2 litre 16 valve Twinspark four-pot making between 155 and 150 hp, a 2 litre turbo V6 (205 hp), a 2.5 24v V6 (190hp), a 3 litre 24v V6 (226-220hp) to a 3.2l 24v V6 producing 240 hp. Two very modern 5 cylinder common-rail diesels were available, making 150 and 185 hp from 2.4l. All engines powered the front wheels through either 5 or 6 speed manual gearboxes, a 4-speed automatic (in early cars), or a 5-speed Speedtronic automatic. A four wheel drive V8 version (pictured above) was also considered (and produced in a very limited prototype run), but in the end scrapped as unfeasible. In 2003 the 166 was facelifted. The update got rid of the car's more controversial styling cues (like the unpopular 'pig eyes') and brought its looks closer to Alfa's other contemporary offerings. The interior was also slightly improved, with new options added to the list of equipment. As is often the case with Alfas the suspension was both the car's strong point and a major issue. Both reviewers and owners praised the handling characteristics of the 166 which are universally considered better than ones of contemporary front wheel drive Audis. Comfort was also more than adequate. Unfortunately, due to a very complicated multilink system all around the 166 would usually need a through rear suspension rebuild every 60-70 thousand miles, while the front probably wouldn't be far behind in terms of wear either. Driving on bad quality roads also had a huge impact on the life of suspension components. Alfa Romeo went out of production in 2008 without a model to replace it. It's widely considered to be the most reliable and well made Alfa of its time. While the 166 was never officially available in the United States, a very small number of them were privately imported, rebranded as Autodelta 166, and illegally sold at extremely high prices. While officially all of those cars were either crushed or sent away from the country, they sometimes still appear for sale in various places around the US. Still, they're constantly at risk of being confiscated and destroyed by the customs. So, should Alfa Romeo have brought the 166 to North America or not?